A lot of students tend to believe that smaller colleges located in smaller cities tend to be boring and lack opportunities. However this is not the case with Beloit College, a school that has a rich diversity in both its student body and its academics. Beloit is a small, private liberal arts college located in the city of Beloit, Wisconsin. 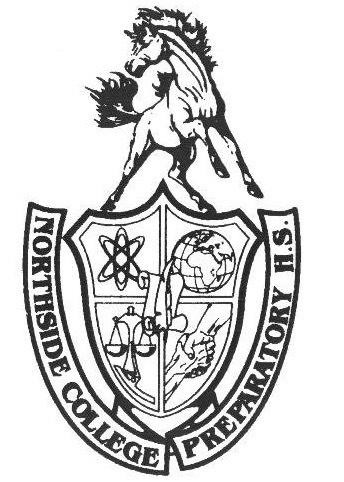 Northside students recently had an opportunity to speak with one of the alumni representatives from the college, in order to learn about academics, admissions, and student life. Beloit College was founded in 1846 when Wisconsin was still a territory, making it the oldest institution for higher education in the state. The college currently has about 1,300 students, 27 percent of which are students of color or international students. The other 73 percent hail from nearly all 50 states. There is also an almost 50/50 gender split, with women barely making up the majority of students. However, the diversity of the institution does not stop there. In addition to their standard academics, Beloit also offers study abroad programs. These programs are offered in accordance to most areas of study, and there are scholarships available to students. In order to help make costs affordable, Beloit’s website has a page listing study abroad options that actually cost less that a semester’s tuition at the college itself. Past students have traveled to places such as China, Costa Rica, England, India, and the Czech Republic. In addition to its robust academic programs, Beloit is a Division III school, and plays in the Midwest Conference against schools such as Grinnell College and Lawrence University. Beloit offers most standard sports, including football, cross country, volleyball, and swimming. Tuition and fees at broken down differently at Beloit than other colleges. Beloit separates the cost of attending college into two categories: direct and indirect costs. Direct costs include tuition, room and board, meals, and activity fees. Indirect costs include health insurance, books and supplies, and personal expenses. Beloit calculates both of these costs when determining student’s need for scholarships, but without any financial aid, the cost of attending Beloit is about $60,944. Students who are interested in applying to Beloit should note that they have rolling admissions. Beloit accepts the Common Application, Beloit Application, Coalition Application, and the Universal Application. The acceptance rate is about 69.3 percent. Most students have SAT scores ranging from 1090-1370, and ACT scores from a 24-30. Test scores are not required to apply, but GPA is. There is no cost to apply.